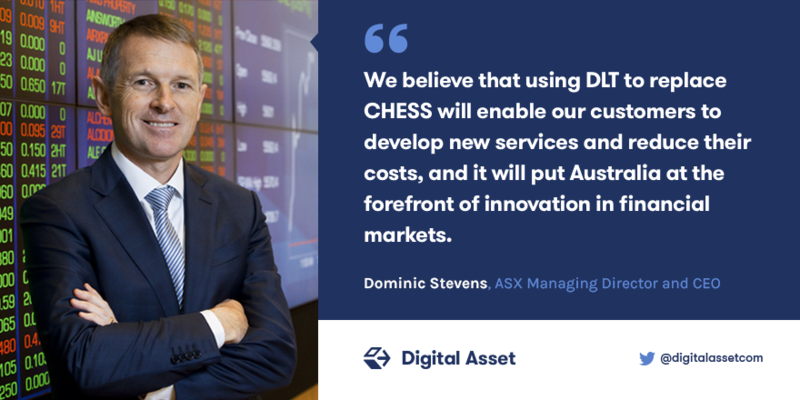 ASX today announced its intention to replace the system that underpins the post-trade processes of Australia’s equity market with the Digital Asset Platform, following the successful completion of extensive testing over the past two years. The DA Platform uses Distributed Ledger Technology to allow the mutualization of financial market data and processes across multiple market participants. It does this while maintaining confidentiality and scalability, both critical for market infrastructures. The ASX also announced that it has taken up its pro-rata right to participate in Digital Asset’s recently announced Series B financing. This additional participation brings the total funding raised by Digital Asset to over $115 million.